Real Boiler Servicing & Maintenance is owned, managed and run by Ibrahim Tural. His creative brand advocacy, taking his Which? Trusted trader accreditation to the Enfield Town and Country Show has earned his business the Which? Trusted trader of the month award for October 2015. Ibrahim started the business about four years ago, so he could better manage his time around his family responsibilities. It's a unique business in many ways - principally because the services they offer are restricted to servicing, repairing and maintaining boilers and a few plumbing maintenance jobs, including the landlord safety checks. Currently Ibrahim doesn't work on installations, as these can be lengthy jobs and wouldn't give him the flexibility he needs to keep the business and the family going. Some of his friends and former colleagues were dubious when Ibrahim chose to offer such a specialist service, but he's found the business has grown steadily, with customers returning to him even after having their boilers installed elsewhere. Real Boiler Servicing & Maintenance has been endorsed by Which? Trusted Traders since July 2014. 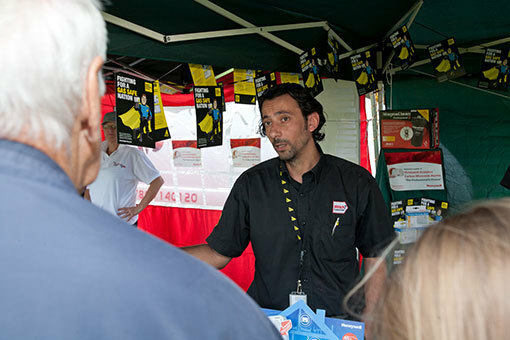 Ibrahim describes the scheme as 'phenomenal' and explained how it helped his relationships with customers. 'You deal with all sorts of people,' he said, 'but the customers I get through the Which? Trusted Traders site understand that I'm trying to help them, even if I'm giving them bad news about their boilers. The review system is a great tool for us. I leave the review cards with them and if someone takes the time to complete it, that speaks volumes. It means we've made a positive impression on them. It gives me feedback on what we're doing and how we're doing it. So how exactly did Ibrahim showcase the Which? Trusted Traders endorsement at the Enfield show? As well as a 42" LCD screen displaying the Which? 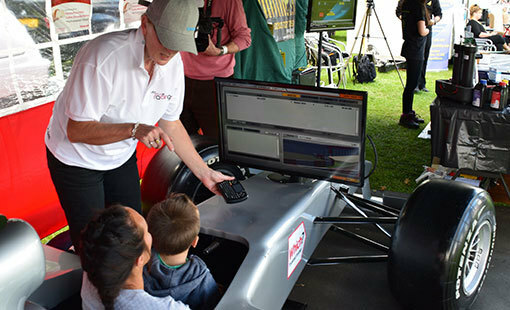 Trusted Traders profile, he had a full-size, Formula 1 simulator, displaying the Which? Trusted Traders logo. Visitors were encouraged to record their fastest lap whilst being educated about the importance of Which? 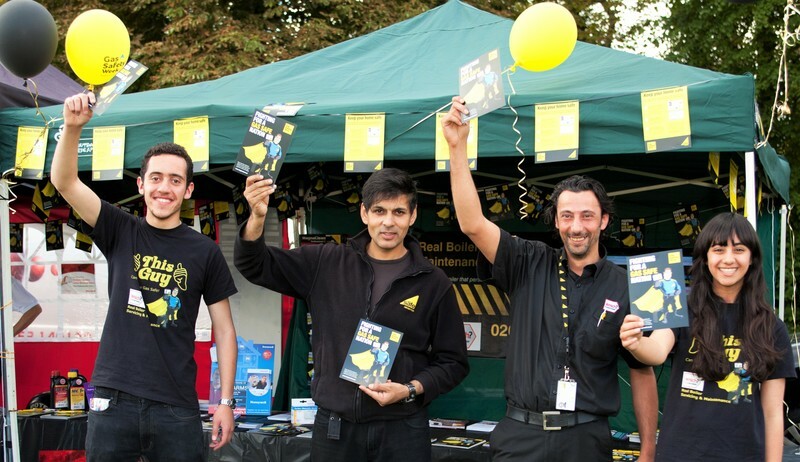 Trusted Traders and gas safety. Prizes given to some of the fastest competitors included Which? Trusted Traders branded wristbands. Congratulations to Ibrahim and Real Boiler Servicing & Maintenance - October 2015's Trader of the Month.